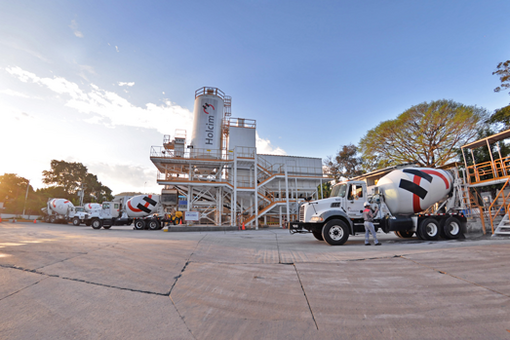 HOLCIM – EL Salvador incorporate an IBERTEST testing system to their Quality Control area for Pre-Mixed Concrete. One of the frames (MEH-2000) for compression tests up to 2000 kN (200 Ton) to perform strength tests of hardened concrete, in a fully automatic process. The second frame (FIB-100) is 100 kN capacity for concrete bending tests and similar. All managed from a single control system and a single hydraulic power unit. Being able to choose one or another area optionally to carry out the tests. Bending tests for concrete beams. Determination of Young’s modulus and Poisson’s coefficient. 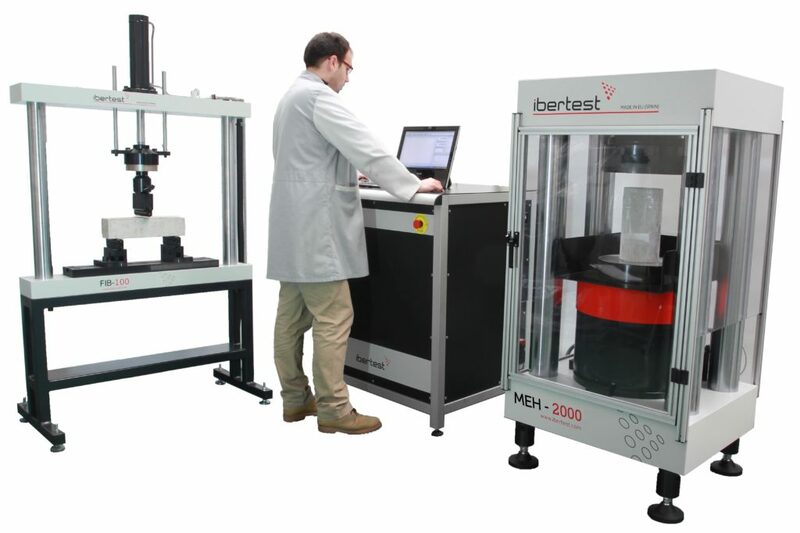 Indirect tensile test (Brazilian test). These machines join the other IBERTEST equipment that is installed in their plant, providing excellence, versatility and satisfaction with our products. Once again, the global leader cement companies rely on IBERTEST advanced testing solutions for an adequate quality control in production. If you want to know more about our testing machines for cement and construction materials click here. For special requests or any questions, we will be at your disposal in the following contact form.